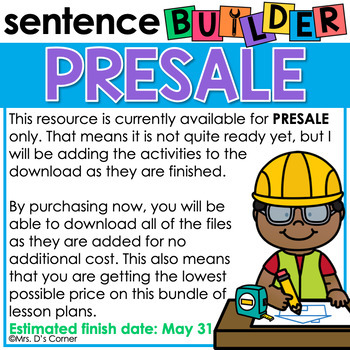 PRESALE • Holiday Sentence Builder Writing Bundle | Do you have students in your special needs classroom who struggle with writing sentences? Or maybe they struggle with putting words together to form a sentence? 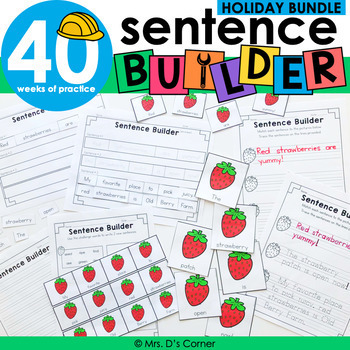 This is the HOLIDAY Sentence Builder bundle. 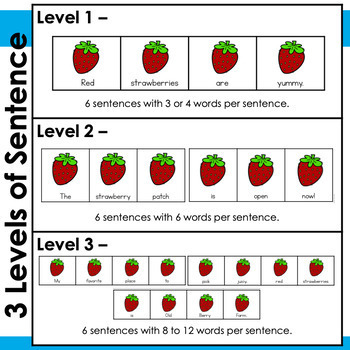 If you would like the original Sentence Builder set (with no holidays), please CLICK HERE. If you see a ✓ next to an item, that means it is in the download and ready for you to print and implement! If you see a • next to the end of an item, that means it is in queue to be uploaded with the next update. This resource is currently available for PRESALE only. That means it is not quite ready yet, but I will be adding the weekly activities to the download as they are finished. By purchasing now, you will be able to download all of the files as they are added for no additional cost. 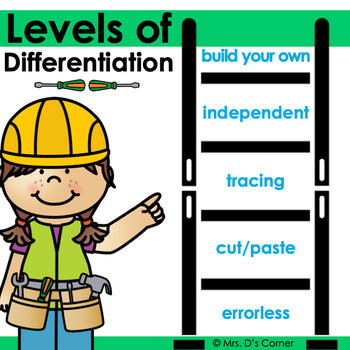 This also means that you are getting the lowest possible price on this bundle of lesson plans. Estimated finish date: May 31.